Company – Facts and figures. 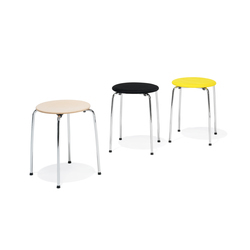 Kusch+Co is a leading manufacturer of high-quality and upmarket contract seating, tables and table configurations. 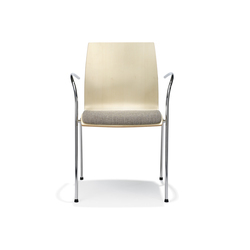 Their mission is to furnish contract environments with designoriented seating excelling in functionality. Ever since the foundation in 1939, the production site and administration are situated in the town of Hallenberg in the German State of North Rhine-Westphalia. 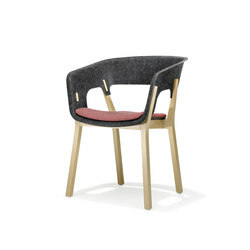 The production of this Germany-based contract furnisher with its approx. 330 employees is characterised by an exceptional production depth; many of the important parts are produced in-house. Left: Partial view on the modern factory 2 in Hallenberg. 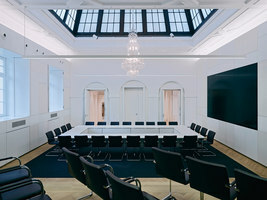 Right: From a distance, the likely largest industrially produced chair in the world shows the way to Kusch+Co. 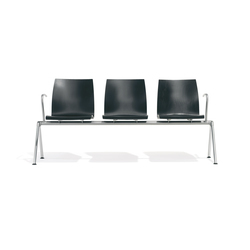 Kusch+Co seating – travelling the world. Market segment Transport.Encompassing railway and bus stations, terminals for passenger liners as well as airports. In our global world, these places are the gateways of our mobile society. 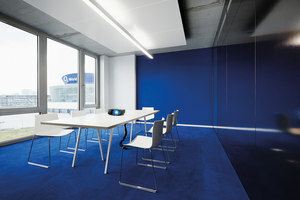 Kusch+Co has established an excellent reputation in the field of Airport Seating, having furnished more than 200 international airports with their waiting benches, bench configurations or lounge seating. These series are specifically designed for the use in these environments and fulfil the stringent requirements with regard to safety, functionality, design, comfort and use value. On top of this, they boast a long-time experience and knowhow in the field of planning and project management; a service which is appreciated by architects and project developers. 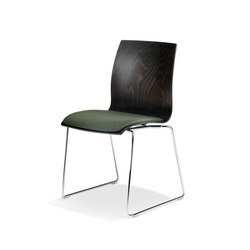 Their portfolio also offers a wide range of elegant seating solutions for other airport environments, such as conference areas, restaurants, counters, tower, offices, and service areas. Market segment Health. Ancient civilisations had already discovered the curative properties of rooms. Nowadays, hospitals, residential care and nursing homes, medical practices and health care facilities are the modern places of healing. Next to the high functional demands, these facilities have to give special attention to the overall room atmosphere with the aim of making patients, visitors, doctors and nursing staff feel at ease, secure and comfortable. With their long-time experience in furnishing healthcare facilities all over the world, they are perfectly capable of handling this assignment. 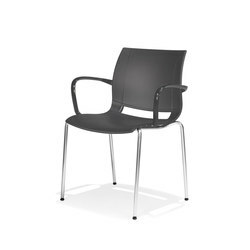 Their portfolio comprises highly comfortable, design-oriented wooden- or metal-frame series with a variety of relaxing and nursing chairs, not forgetting the broad spectrum of seating and tables from the kuschmed® Hygienic-Line for more hygienic safety. 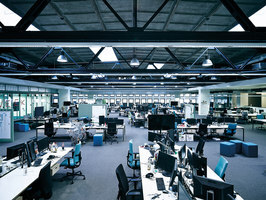 Market segment Office. 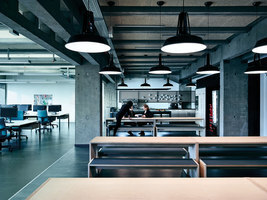 Office environments are as diverse as the people performing them. As these environments are constantly changing, the interior design has to be as flexible as possible. Add to this the requirements for a healthy workplace, where ergonomically designed seating play a key role, most notably office and conference chairs. 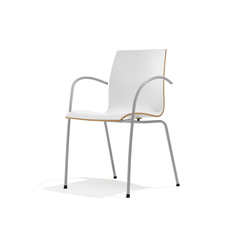 Kusch+Co’s portfolio comprises two task chair series perfectly capable of meeting the ergonomic and occupational health-related requirements, enabling users to dynamically change their posture. 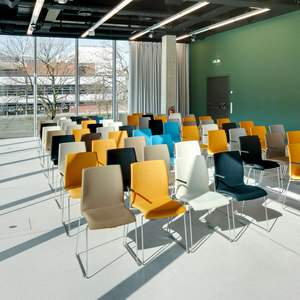 The task chairs are functionally complemented by visitor chairs, seating for reception areas and foyers, not forgetting matching tables and table configurations with a wide range of functional accessories, such as power and data modules or multimedia options for conference and seminar rooms. Market segment Hospitality. Sitting together at a table, dining together, talking with each other. 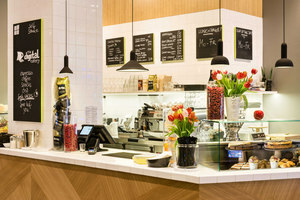 Hotels, restaurants, canteens, cafeterias are all places where people like to meet and get together. Here, seating does more than simply providing a place to sit; it contributes to creating an individual and welcoming atmosphere. Achieved through a unique design, a distinctive materiality, and of course through a perceptible, premium quality, combined with an awareness of the importance of economical and environmental sustainability. 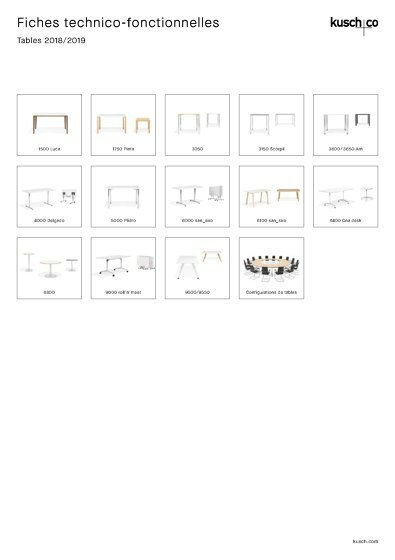 Kusch+Co has designed a wide variety of appealing seating and table series to cater to the needs and wishes of this market segment. Market segment Culture. Assembly halls, congress and event centres, lecture and seminar rooms, universities, concert halls – people come to these venues to attend all kinds of events. The seating here has to be flexible enough to enable a speedy and uncomplicated setting up or reconfiguration – from a row configuration to a banquet arrangement all the way to individually positioned groups of seating. 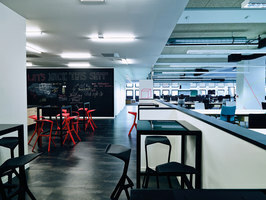 For these environments, Kusch+Co has developed a variety of purpose-built seating and tables, consisting of products that can be easily stacked, linked together, folded, transported and stored space-savingly. 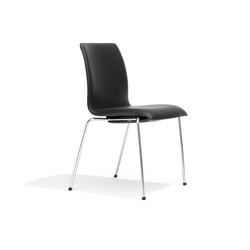 Multi-purpose seating for virtually any environment. Their portfolio offers a vast range of multi-purpose seating that can be mixed and matched, complementing each other perfectly. Thanks to this multi-faceted portfolio with matching design aesthetics, the interior design of each and every area can be tailored to the individual and specific needs and yet stay in line with the overall visual corporate identity. 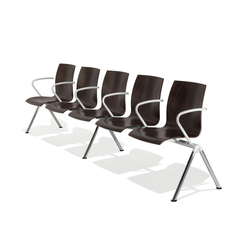 Kusch+Co is traditionally well-represented in reception areas, lobbies, waiting rooms, offices, conference and meeting rooms, training classrooms, staff restaurants, canteens, cafeterias, all the way to VIP lounges and assembly halls. 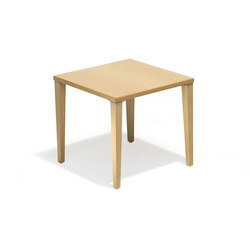 Product design with world-renowned designers. 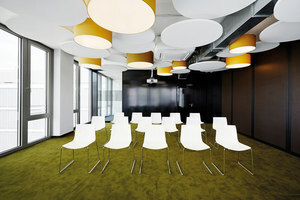 Instead of following in other’s footsteps, Kusch+Co is motivated by a drive for innovation with the aim of creating unique products developed in tandem with top designers. The new bench series 8000 has been designed by the creative heads of the renowned Porsche Design Studio, and scooped the German Design Award 2013 with the commendation "Special Mention". Kusch+Co and Porsche Design Studio joined their creative forces a second time to develop the new Soft Seating Series 8080, geared towards exclusive lounges. 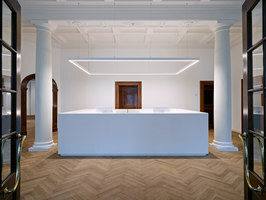 Norbert Geelen is among Kusch+Co’s top designers, always coming up with out of the box solutions. 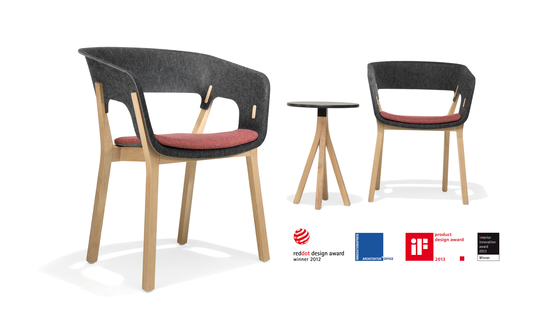 For instance, he designed the universally suited armchair series 8250 Volpina as well as the innovative 6000 São Paulo series, consisting of task chair as well as visitor and conference chairs with matching design aesthetics, that won the European "FIRA Ergonomcis Excellence Award" and the "German Design Award – Special Mention 2015". The idea for series 2750 Sóley was born in Iceland. 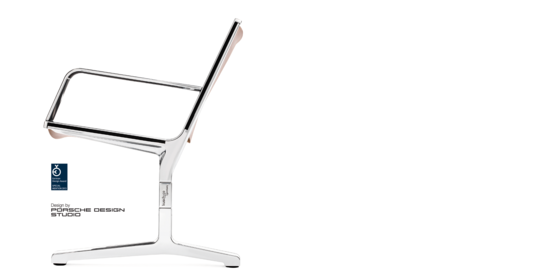 This iconic folding chair, relaunched by Kusch+Co, was invented by the Icelandic designer and architect Valdimar Harðarson in the early 1980s and has achieved cult status. A likely candidate with all the necessary qualities to become a design classic is the exceptional lounge series 3000 Njord, penned by the design duo Scaffidi & Johansen. 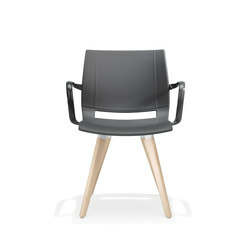 A multi-award-winning armchair that won the much-coveted "red dot design award: product design 2012", to name the best known example.Their newest design for Kusch+Co is series 3600/3650 ARN, combining an exceptional design language with a unique materiality amalgamating plastic and wood resp. Aluminium. Series 8000 – a new concept in Public and Airport Seating. Design by Porsche Design Studio. Left: Geared towards exclusive lounges – series 8080, Design by Porsche Design Studio. Right: A classic reborn. 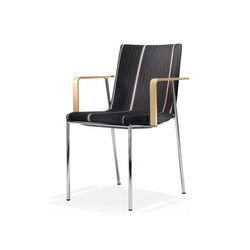 The relaunch of this iconic design from the 1980s – folding chair 2750 Sóley – Design by Valdimar Harðarson. 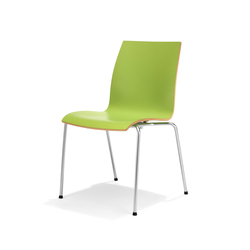 Series 8250 Volpino is a collection of contract chairs with matching design aesthetics. Design by Norbert Geelen. Clear-cut silhouette, sophisticated construction, exceptional materiality – series 3600/3650 ARN, which translates a eagle. 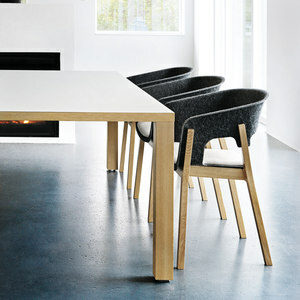 Design by Scaffidi & Johansen. 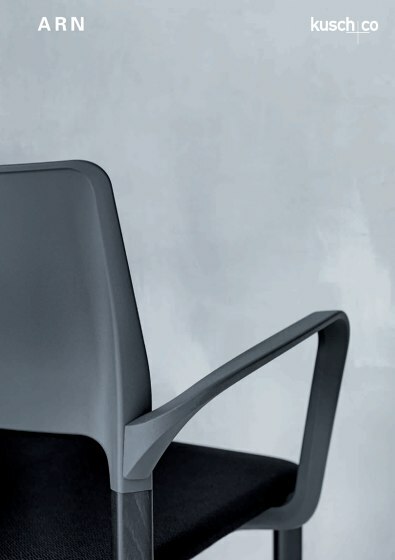 Design and ergonomics at its best – series 6000 São Paulo, Design by Norbert Geelen. 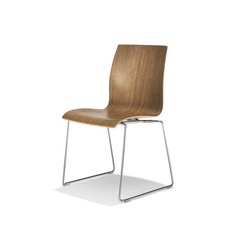 As comfortable as an armchair, as lightweight as a side chair – series 3000 Njord, Design by Scaffidi & Johansen. Premium Brand – with first-class references. 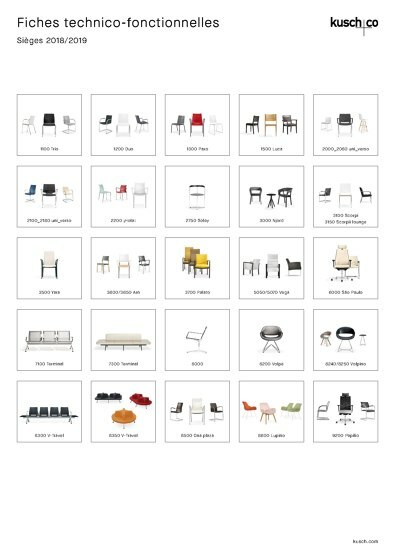 Kusch+Co has evolved into a worldwide highly demanded premium brand. The latest additions of first-class references include the subsidiaries of google and facebook in São Paulo, Brazil. 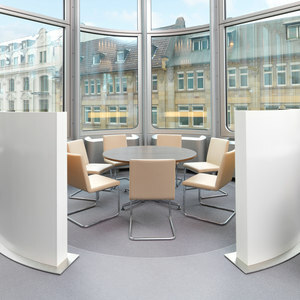 In the German financial metropolis Frankfurt, Kusch+Co furnished the "Silver Tower", the high-rise calling card of Deutsche Bahn AG, with its contract seating. The Munich-based engineering company Siemens ordered approx. 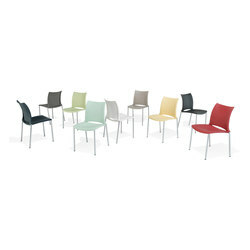 1000 task chairs of series 6000 São Paulo. The projects Queen Alia International Airport in Amman as well as the futuristic Marina Bay Cruise Terminal in Singapore provide convincing proof of Kusch+Co’s know-how and expertise in the field of Airport and Public Seating. Both projects are adorned by the high-grade, upscale waiting benches 8000, Design by Porsche Design Studio. The latest projects added to their reference list are the Abu Dhabi International Airport as well as the new cruise ship terminal Steinwerder in Hamburg. Marina Bay Cruise Terminal in Singapore – furnished with the benches of series 8000, Design by Porsche Design Studio. Left: The Silver Tower in Frankfurt am Main – the staff restaurants are furnished with the series 3100 Scorpii and the table range 6000 san_siro. 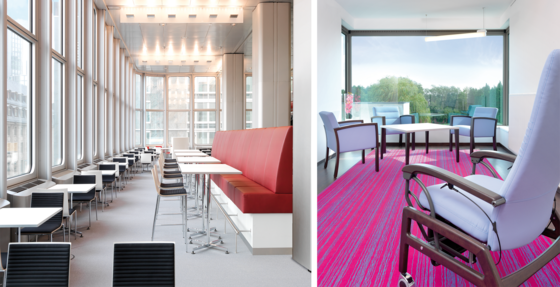 Right: OCMW Arendonk in Belgium – furnished with the lounge armchairs 5050 Vega, among other series. Left: Beuth University of Applied Sciences – foyer with the benches of 7300 Terminal. 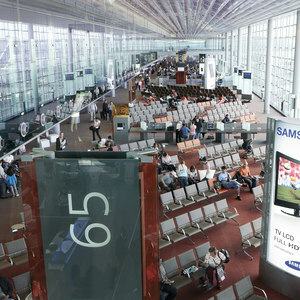 Right: Aéroport de Paris Charles de Gaulle – Adorned with the waiting benches of series 7000 Terminal. 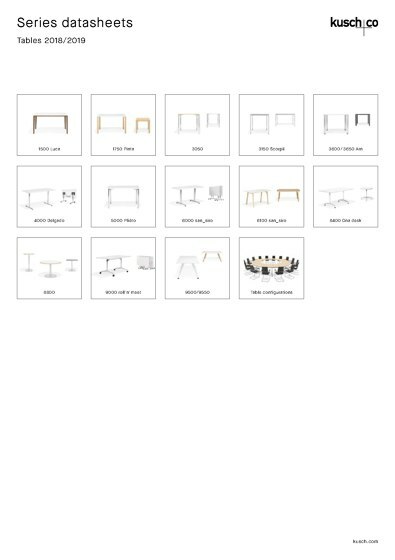 The high quality of Kusch+Co products is only to be matched by their competent consulting services. 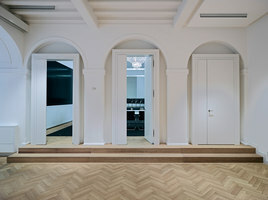 The key to their success is not only their passion for contract seating; their experience is founded on having furnished thousands of projects. Their sales network is built up by a team of proficient project consultants and selected long-time partners and resellers worldwide. Qualified staff training ensures the best possible consulting quality. With subsidiaries and affiliated resellers all over the world, Kusch has established a strong global market presence. ‘Quality is irreplaceable’. Coined almost 75 years ago, this mission statement is still the cornerstone of Kusch+Co’s corporate philosophy. 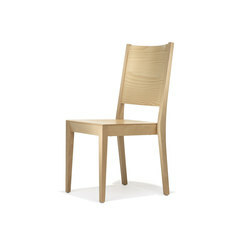 Each new series has to pass numerous quality tests, simulating the harsh reality of a contract chair’s life cycle. 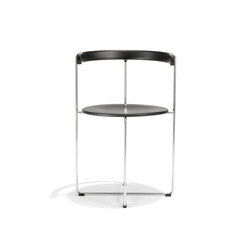 Each Kusch+Co product is characterized by superior craftsmanship. Before receiving the Kusch+Co seal of quality, each model has to stand up to the scrutiny of the company-own quality assurance, using far more exacting criteria than stipulated in any certification scheme. Each Kusch+Co product lives up to these high quality standards. Kusch+Co products are valued for their durability and optimum recyclability with sustainable properties taken into account from the very start of the development stage. In their view, R&D is an all-embracing process, ranging from an environmentally compatible material selection and design to eco-efficient manufacturing and finishing processes, always with an eye on the carbon footprint. DQS certified Environmental Product Declarations in compliance with DIN 14021 are available for all products. At the end of their long-lasting life cycle, all materials are labelled for subsequent sorting and recycling.